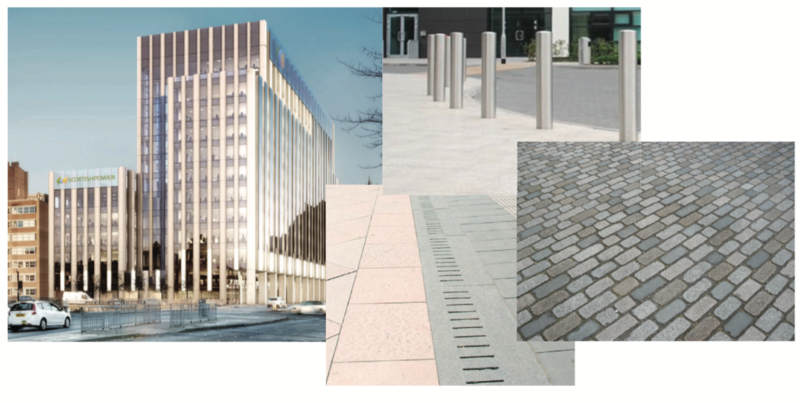 Dougall Baillie Associates were commissioned by Iberdrola in the role of Transportation and HIghways Engineers for this exciting flagship project in Glasgow City Centre. The development will be constructed on a gap site which is bouded by the M8, St Vincent Street, Elmbank Street and India Street. The Transportation Engineering element of the project was challenging due to the arterial nature of the perimeter roads, however solutions were agreed with Glasgow City Council and Planning Permission was granted. Provision of enhanced pedestrian and vehicular signage.